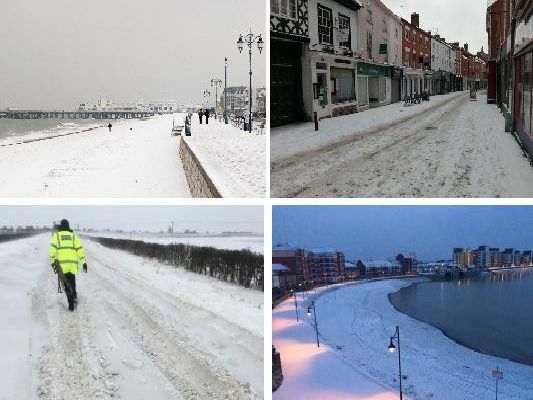 This time last year was the renowned Beast from the East, which saw most of the UK, including the south of England and the midlands, hit by below freezing temperatures and heavy snowfall, bringing with it the kind of weather we hadn’t seen for decades. Here we take a look back at this time last year in comparison to the current weather - and the iconic images which show what happened when the Beast from the East hit the UK. The 25 Feb started with a widespread moderate frost, with persistent cloud around the north-east, and almost unbroken sunshine everywhere else. Generally very mild by afternoon, although remaining cooler on the coast. Maximum temperature 17C. Wintry showers in eastern regions on 26 Feb gradually spread westwards during the day. Tomorrow is set to be fine and very mild after a chilly start with fog.